For the past seven years, I have had the good fortune of being invited to speak at the Kalamazoo X Conference. If you’re not familiar with this conference, you’re not alone. It’s one of those hidden gems. Once you’ve gone once, you’re angry you didn’t hear about it sooner. In short, KalX is a conference for software developers that has nothing to do with software development. It’s a focus on the other part of your career. Work-life balance, mentoring, passion, enthusiasm, excuses, you name it. Anyone, in any industry, would have tons to gain from these presentations. As a speaker, this is my Superbowl of speaking opportunities. It has been said that “every talk at Kalamazoo X would have been the best talk at any other conference.” And it’s true. I am humbled and flattered to be asked back each year, and am astounded by the raw human emotion that each speaker brings to the conference. This year, they opted to not record the sessions, but I did set up my tablet to record my presentation before the battery died. My talk was titled “Be A Beginner,” and it focused on the benefits of being a beginner in a situation, and how, as experts, we should recognize and encourage the beginners on our team. There is a moment early in the presentation where the projector fails me, but we rally and get past it in a relatively quick time frame. I’d love your feedback on the content. Click the photo below to view it on YouTube. What’s On Your Key Chain? It seems like more and more, I’m finding things that I want to put on my key chain. Bottle openers, technology, all sorts of cool things. I’ve limited my key chain to two things (in addition to my car key, obviously), and they’re both pretty cool, so I thought I’d share them. If you haven’t already heard of Machine Era Co., make sure to check them out. It’s an American company that makes hand-crafted metalworking goods. I currently own their wallet and the KeySquare, and they’re both amazing. But we’re talking about key chain stuff, so here’s a picture of the KeySquare. 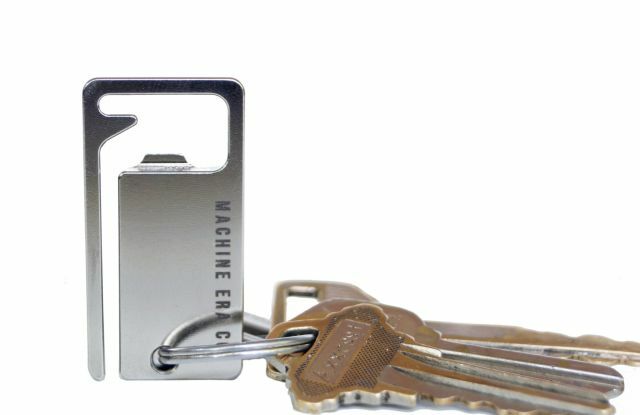 Cut from a solid piece of stainless steel, has a bottle opener, and can easily be attached to your pocket or belt loop. I’m not much of a “keys on the belt loop” kind of guy, but that open hook has made it easy to attach my keys to a bag strap. And it can open my beer. It’s just awesome. The other thing I’m keeping on my keychain is a VERY short USB cable. It seems that when my phone is low on battery, it’s always when I don’t have my computer bag with me. InCharge allows me to have a USB cable with me at all times. It’s available for micro USB or Lightning connections, and it’s less than $9, including shipping. Have You Seen Kroll Show? 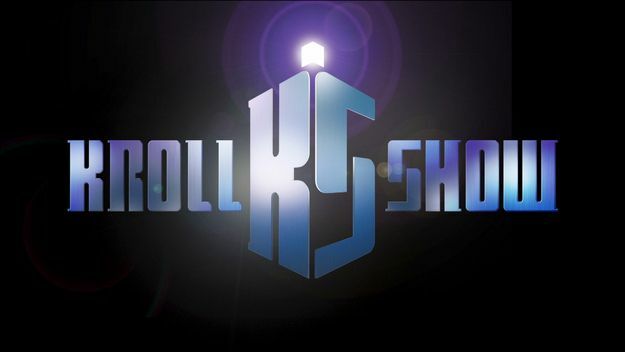 Now, I’ll be the first to admit that this is not a family friendly show, but that doesn’t stop it from being hilarious. It spends most of its sketches skewering reality television, but what I enjoy most about the show is how much crossover there is. In one episode, you meet Liz & Liz, who run a PR firm called PubLIZity. One of the Liz’s discovers she’s pregnant, but isn’t willing to reveal who the father is. In another episode, you meet C-Zar, a “toilet baby” they call him, who is attending “Dad Academy” to determine if he’s fit to be a father to the child his baby mama is expecting. Two seasons later, you discover the connection. It’s these kind of running jokes that you find throughout the show that kept me coming back for each episode. There’s also another sketch series where two cousins run separate pawn shops, one in Philadelphia, one in Pittsburgh. It’s called “Pawnsylvania.” It plays on the massive cultural differences between the two cities, and made me laugh most of the time. There’s dozens of other memorable characters and sketches, including Dr. Armond, the animal plastic surgeon, “Too Much Tuna”, and “Rich Dicks”. Highly recommended. Would watch again. I’m not one to advertise a vacation. In fact, most times I don’t talk about it online until I’ve returned for a number of reasons. This summer, however, my family and I have decided to take an extended road trip, and it got me thinking about all of the amazing opportunities I’ve had to see this grand, vast world of ours. In my 38 years on this planet, I’ve visited dozens of countries, but only two continents: North America and Europe. I need to start striving for the other five. Yes, that even means Antarctica. As for the United States, I’ve visited (and let’s be very clear about this one, I’ve been on foot or in a car) 48 of our fifty states. My two remaining challenges are Alaska and Hawaii, and I’m certain I’ll knock those off my bucket list. My answers? Ohio has 88, and the United States has 3,143. I’ve visited a bunch of counties, but I’m not yet up-to-date on my count. As of right now, I’ve recorded 393 counties visited, but there’s a big trip I took during college that I haven’t entered yet. It will easily add another 100+ counties to my list. My biggest challenge is that many of my trips involve an airplane, so I only get credit for places I visit or connect through. Dan Miller has visited 1,465 counties. Jim Tocco has visited 1,672 counties. Kevin Roll has visited 869 counties. Jay Bohland has visited 831 counties. They have also set a record for visiting all 88 counties in Ohio in under 24 hours, along with a few others. So this summer, why not pick up a few extra counties on your way to your destination. 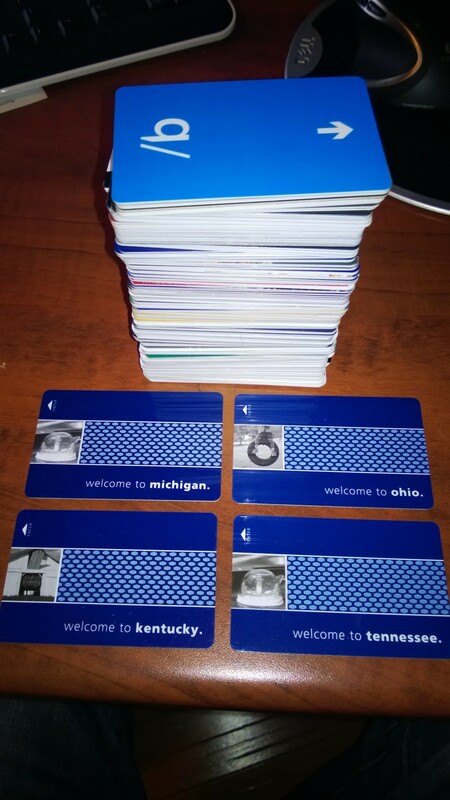 At least mark your entire home state in blue, right? 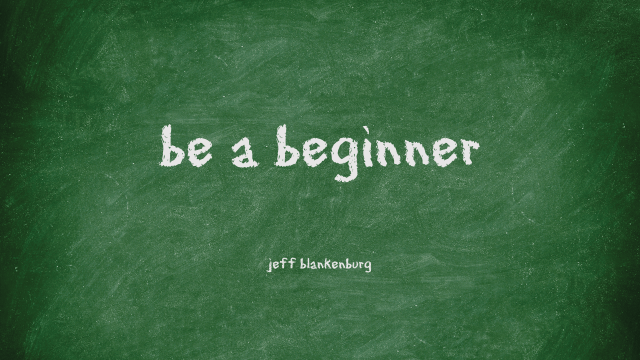 We’re afraid to be a beginner again. Think back on the times you’ve been the most passionate about your work. Passionate about your career. Was it yesterday? Probably not. In my history, the times I’ve been the most excited to work was when it was new. When I was learning. But it seems like our professional culture rewards those who continue to build on their siloed set of experience instead of broadening their knowledge horizontally. Why not reward the curious problem solver? Having ZERO perspective on an industry can actually be liberating when you try to address the big issues. As an example, I’ve worked for ad agencies, clothing retailers, and consulting companies, but all of them were as a software developer. When Microsoft hired me as an Technical Evangelist 8 years ago, I was thrown into a different world. Now I was doing a ton of public speaking, training, and research. I didn’t have delivery deadlines and a feature list to complete, I had events to plan, technology to understand, and relationships to build. I loved it. But after a few years of that, I’d mastered it. And it became tedious. So I left, for the safe thing. Now I’m working on software development projects again, but they’re HUGE projects run by billion dollar companies. What I yearn for, however, is to be a beginner again. To be put in unfamiliar territory, to have thousands of questions for hundreds of problems. I want to solve problems from a unique angle that those entrenched haven’t been able to see. That’s when I’m most successful. That’s what I want to be when I grow up. A beginner. Every couple of years or so, Microsoft releases a “Future Vision” video that is meant to illustrate how they see life, work, and play with technology that isn’t currently available. Maybe the technology isn’t even possible. But it makes you wonder what you could do when you see their vision. It’s 6 minutes long, and you could definitely watch it without the audio if you’re at work. Definitely worth checking out. This letter is also available at TinyLetter, where you can receive these directly in your inbox. I should start this section with a preface: my family proudly “cut the cord” just over 4 years ago. (You can read more about that here.) For those of you unfamiliar with the term, it simply means we don’t have a cable subscription. We looked at what we watch, and what we were paying, and it just didn’t make sense. So we dropped it in favor of things like Hulu Plus, Amazon Instant Video, and Netflix, all streaming through our Roku Boxes. We watch almost nothing “live.” Sports are an obvious exception to that rule, but otherwise, we are perfectly content to watch the show we like the next day, or several days later. (This is exactly what most people do with their DVRs anyways.) Hulu carries most of the shows we watch, and we actually purchase episodes of the shows they don’t from Amazon, like the Walking Dead, for example. $27 for the whole season is WAY cheaper than even the most basic cable package over that 6-month season. WE pick the shows WE want to watch, and they’re organized into a nice little queue for us to choose from. Fast-forward to last week, when my wife and I decided to try the new Sling Television service. They offer a 7-day trial, and it includes content from ESPN, ESPN2, TNT, TBS, HGTV, Disney Channel, Cartoon Network, and a few others. The $20/month price tag seemed steep, but if I could watch some of the shows on those channels, it might be worth it. 1) It’s not like any other streaming service I’ve mentioned. It’s not a list of shows and episodes that I can select and watch when it’s convenient for me. It’s just live streams of the channels, requiring me to tune in when the show is scheduled to air. 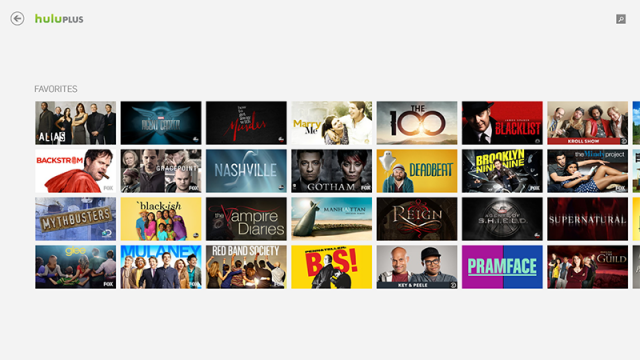 2) It’s 3x the cost of Hulu, with significantly fewer features, and significantly less content. 4) Watching ESPN on the Roku or Xbox One apps is a significantly enhanced experience over just watching the ESPN channel on cable. I have access to every college football game on Saturdays. As a guy that wants to watch his Bowling Green Falcons every weekend, this has proved invaluable. When I’m watching Monday Night Football, I get live notifications about my ESPN Fantasy Football team’s performance. Try doing that with your cable box. 1) A Hulu-like DVR service. I don’t want to manage my recordings. I want to tell it which shows I like, and it should add them to a queue once the show has aired. 2) An ESPN experience similar to what is offered on Roku or Xbox One. I can’t go back. 3) Adding baseball. In your Sports Extra package, adding all of the regional MLB channels would go a LONG way. It’s the one major sacrifice I made when we cut the cord, and thanks to MLB’s blackout rules, I don’t have an option to watch the Cleveland Indians without a cable subscription. A few weeks ago, a revolutionary new product was announced by one of the most valuable companies in the world. They make mobile phones and tablets, entertainment devices for your television, health monitors for your wrist (that can talk to your phone! ), even mice and keyboards. 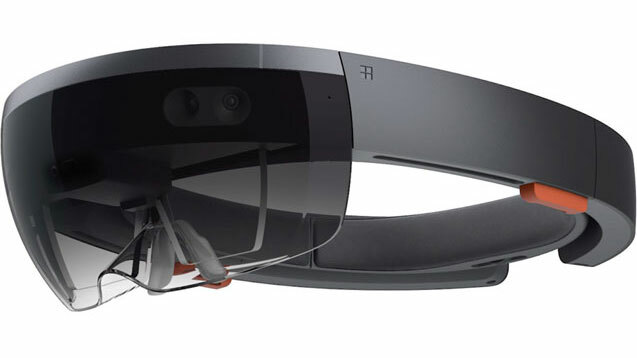 If you watch any single thing this week, click on the HoloLens above, and give it two minutes of your imagination. This will be available this year, and it looks absolutely amazing. 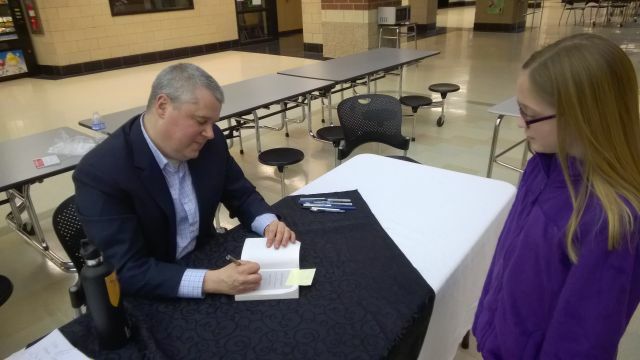 Last night, I had the opportunity to go hear Daniel Handler talk about his new novel, We Are Pirates. If you’re like me, you’ve probably never heard of Daniel Handler. Most of the books he has written have been done under a pseudonym you’re probably more familiar with: Lemony Snicket. He spoke at our local high school last night, and I was drawn in immediately. He was funny, clever, eloquent, and witty. He spent 20 minutes or so telling some charming stories about his writing history, some things that have happened while traveling, and how he landed on the topic of his new book. I’ve been toying with a story I want to write for a couple of years now, and I think hearing him talk made me realize that I just need to do it already. So, in my ample free time, I’ve got another project to start working on.